It was another beautiful sunny day as we left Positano, and headed to Sorrento to pick up our rental car. Our private driver was on and off the gas as we navigated the winding roads, very close to the edge of the cliffs, and the croissant and coffee I had just consumed at our hotel danced around in my stomach. 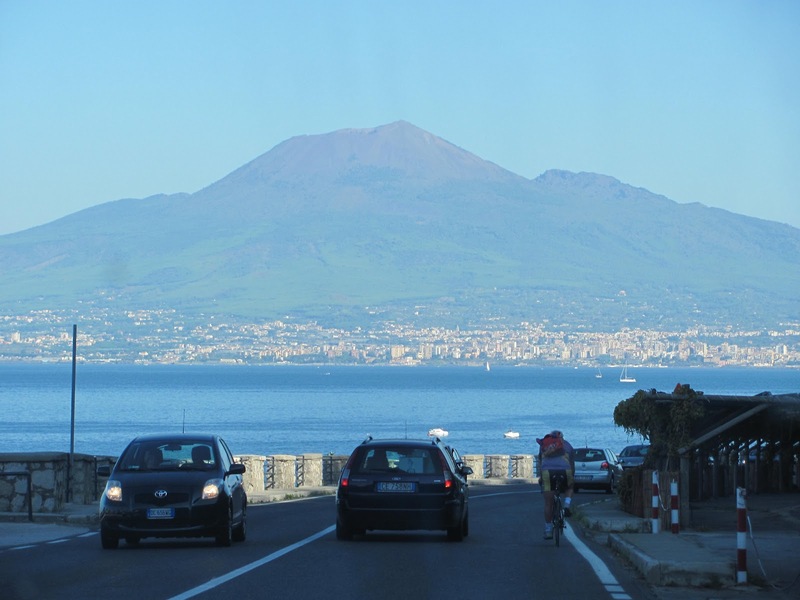 We hopped on the Autostrada (A-1), with its many tolls and 81-mph speed limit, and my back-seat driver tendencies took over immediately. Cars whipped by us and there seemed to be a general disregard for driving lanes, despite the lines painted on the road. I cringed each time a huge 18-wheeler cruised by, praying it stayed in its own lane. 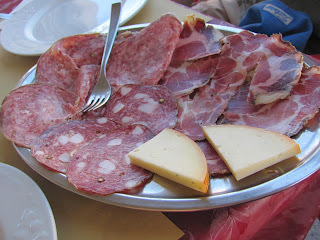 After passing the exits for Rome, we pulled off the Frosinone exit to search for a restaurant – we were starving! A kind fellow in convenience store pointed us in the direction of La Trattoria Albergo, which did not look like much from its exterior; in fact we had driven right by it! Boy, were we wrong! We walked inside to the delicious smell of grilled meats and garlic and were seated at a table in the corner. Next to us, a family of 10 was enjoying a long, lazy Sunday dinner. Jason and I split a caprese salad (the mozzarella was so creamy) and an extremely delicious bowl of cheesy pasta – yum, my mouth waters just thinking about it. We also drank their house wine, very nice. 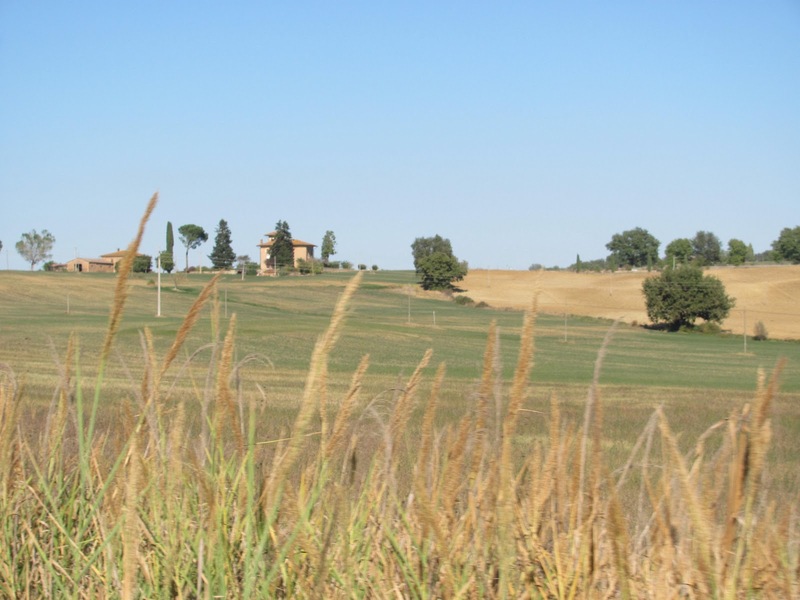 Back in the car, the scenery really started changing and we were awed by the mountains in the distance, the colors of Tuscany, the architecture of homes and miles and miles of farmland, and eventually the hill towns which shimmered like mirages in the hot afternoon sun. 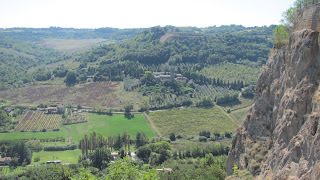 We exited the A-1 (huge sign of relief from me) and headed up the hill toward Orvieto in search of our home for the night at Residence La Magnolia Bed & Breakfast. Prior to the trip, I had emailed Serena at the B&B to inquire about parking, who told me to pull up to the hotel and she’d show me where to park. Two problems, the road to the hotel said “no cars” and after leaving Jason and the car behind, I ran off in search of the B&B but found no one there, just a key was taped to our door. I wandered into the bar next door, part of the B&B, and asked for Serena – she was nowhere to be found. Thankfully, an employee of the bar directed us to a parking lot behind the Cathedral, which had a fabulous view. 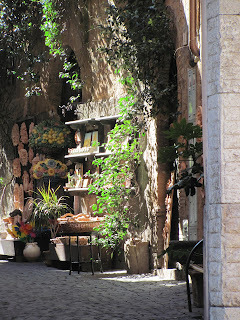 The location of the B&B was amazing, on Via del Duomo, right in the middle of town. We stayed in a room on the second floor which was cheerful and spacious. 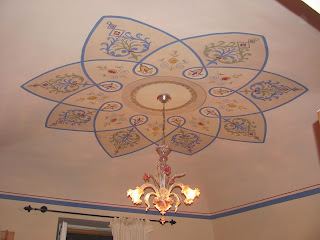 The frescoed ceilings were fabulous and we were pleased that our room had a safe and a refrigerator. We did find the church bells that went off several times an hour (day and night) somewhat annoying and we did not sleep well. For the price of a stay (great value! 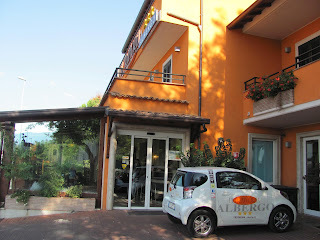 ), we do recommend this hotel to others staying in Orvieto (just maybe not on a honeymoon). After a nap and some relaxing, we headed out to explore Orvieto and have some dinner. 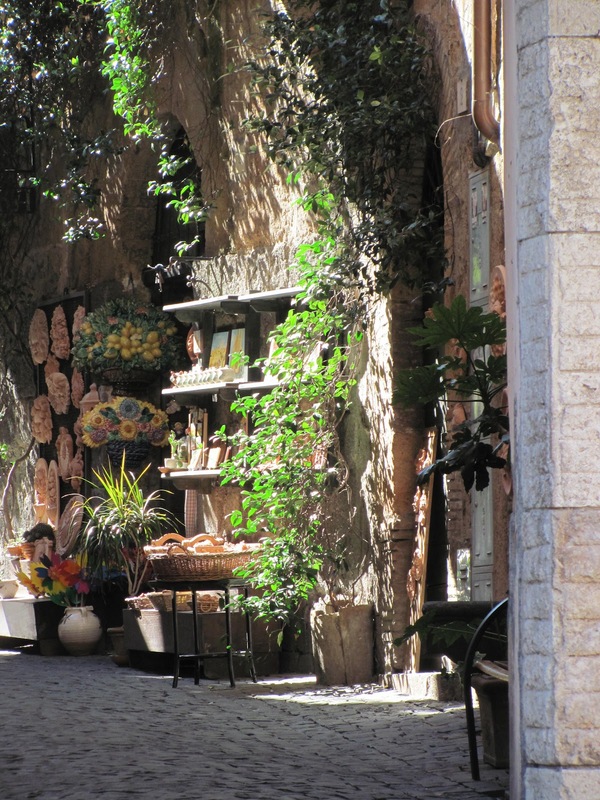 The blazing sun had calmed down a bit and we enjoyed the cooler air, taking in our surroundings and walking down the quintessential little “alleys” that are so European. 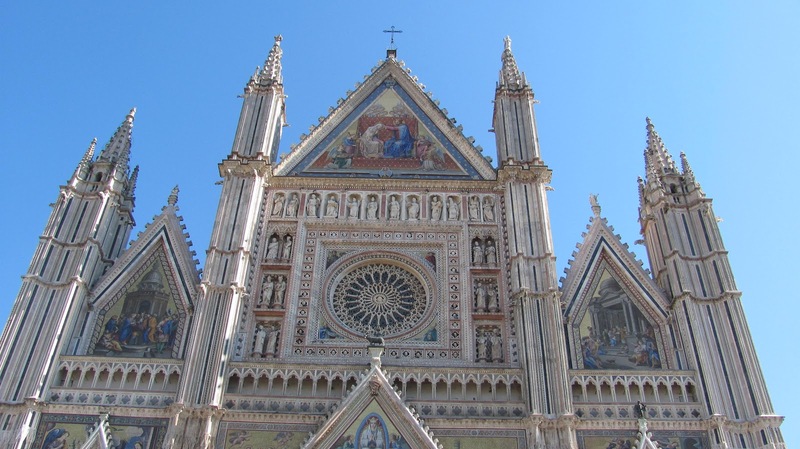 The Orvieto Cathedral is massive; we spent quite a bit of time standing in the square staring at the stained glass windows, golden mosaics and three huge bronze doors. Just amazing! For dinner, we ate at Ristorante Antico Bucchero, sitting outside on a little terrace with a handful of tables and other diners enjoying the cool nighttime air. We ordered a carafe of the house wine and a deer crostini appetizer. We devoured plates of braised rabbit and wild boar. Delisioso! 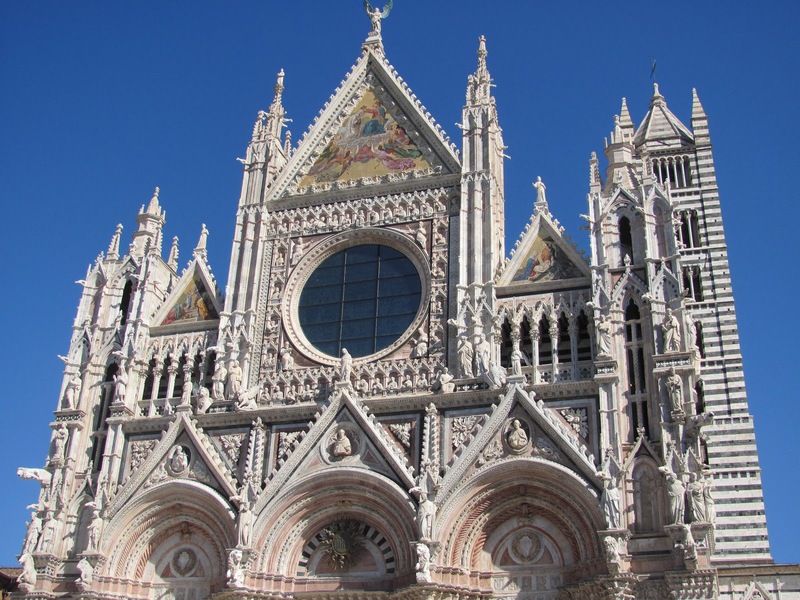 We woke up early, hoping to see as much of Orvieto as possible before leaving for Siena, where we would spend three nights. We needed some coffee so we popped downstairs for the complimentary croissant and cappuccino before heading to our car to store our bags. 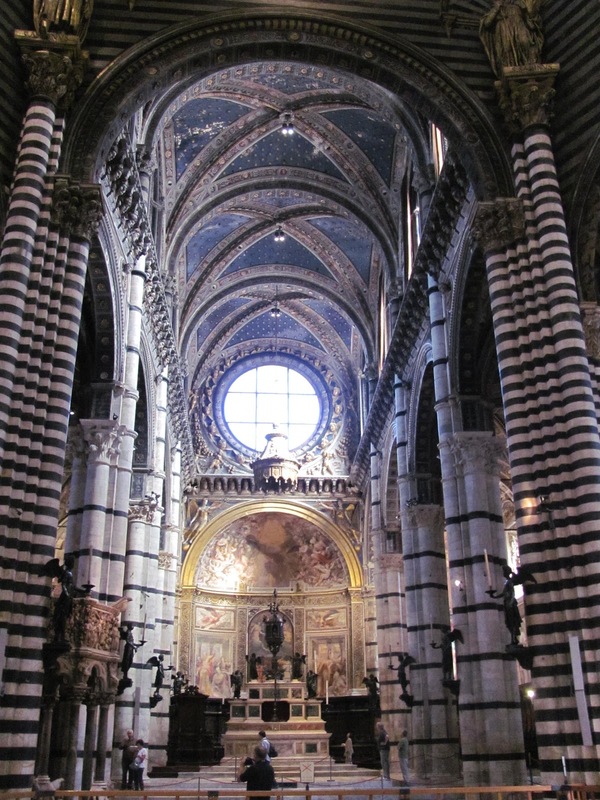 We toured the Orvieto Cathedral, which was extremely impressive. After some time there, we decided to follow Rick Steve’s recommended walk around the outskirts of Orvieto. We somehow got off track and this walk became more of a chore in the blazing heat. 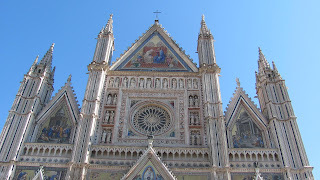 Unfortunately, this walk killed two hours and by the time we made it back into the walls of Orvieto, we were sweaty, starving and very thirsty! We sat down at an outdoor table at L’Oste del Re, chugged two bottles of water each and ate a couple paninos. After lunch, we peeked into some of Orvieto’s ceramic and wine shops and grabbed gelato for the road. 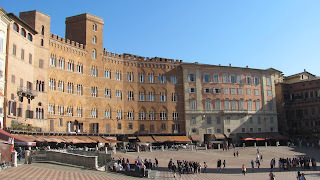 The drive from Orvieto to Siena was approximately 90 minutes long and finding the Palazzo Ravizza was a snap. Check in was simple and we easily parked our car in the gated lot behind the hotel. Our room at the Palazzo Ravizza was small and simple and offered a great view of the countryside from its shuttered window. 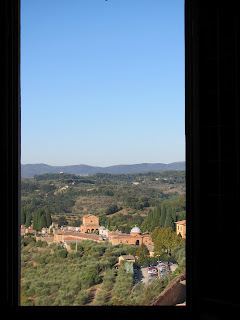 However, the sun baked the back of the hotel during the daytime and because of this, we couldn’t open the window to enjoy the view of the hills or the beautifully-manicured courtyard below. 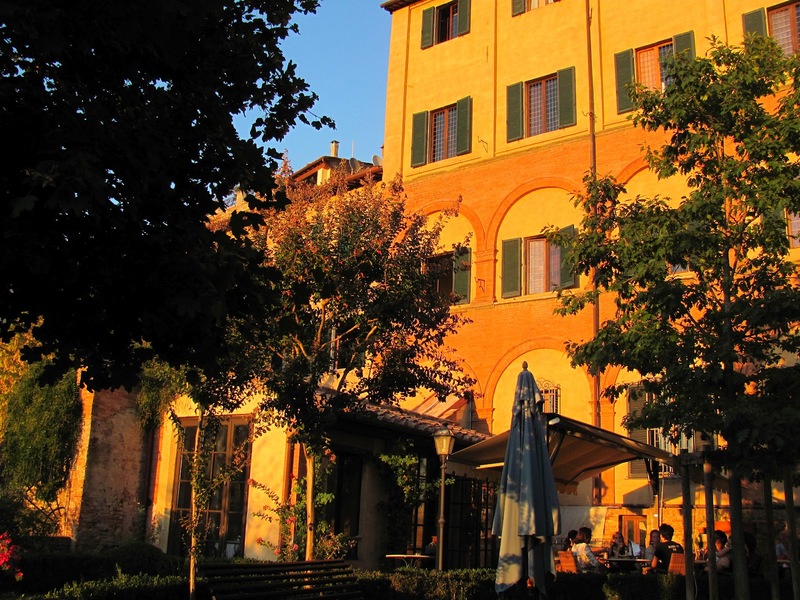 After a quick nap, we headed out to the Palazzo Ravizza’s gorgeous garden with views overlooking the setting sun over the gorgeous Tuscan hills and countryside. We drank prosecco and took deep breaths, taking in our new beautiful surroundings. It was not the Mediterranean but it was just as stunning. Map in hand, we wandered the 10 minutes into town before stumbling upon Piazza del Campo, Siena’s picturesque medieval piazza lined by restaurants and cafes. We sat down for a drink, watching folks stroll through the square before eventually eating at Trattoria La Torre, an informal restaurant with about eight tables. The kitchen was small and open and we watched the one cook throwing homemade pasta into sauces and sizzling meats into sauté pans. Jason and I split a steak, pasta and a carafe of wine. Despite my Italian crash course prior to the trip, language was a bit of a barrier here; there was no printed menu and I could not understand our waiter explaining the menu. But still a delightful experience! After a filling breakfast of cappuccino, fresh mozzarella, salami, cereal, croissants and fruit in the Palazzo Ravizza’s breakfast room (there were tables outside in the courtyard but the weather was chilly in the October morning), we showered and dressed for our first excursion to wine country. It was Jason’s birthday! 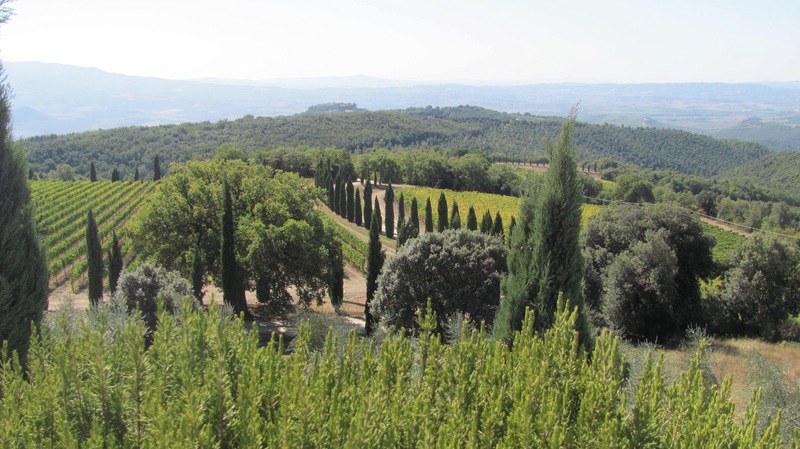 At our request, the front desk clerk reserved us a tour at a winery in Montalcino called Poggio Antico, in the Brunello region. Following the easy directions, the drive took us less than an hour, and took us through a couple little villages, vineyards, farm land and open fields. 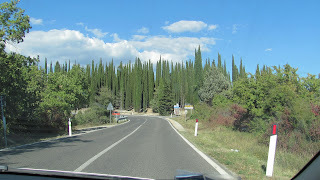 As we passed the road leading to Montalcino, the scenery became much more dramatic and amazingly beautiful. 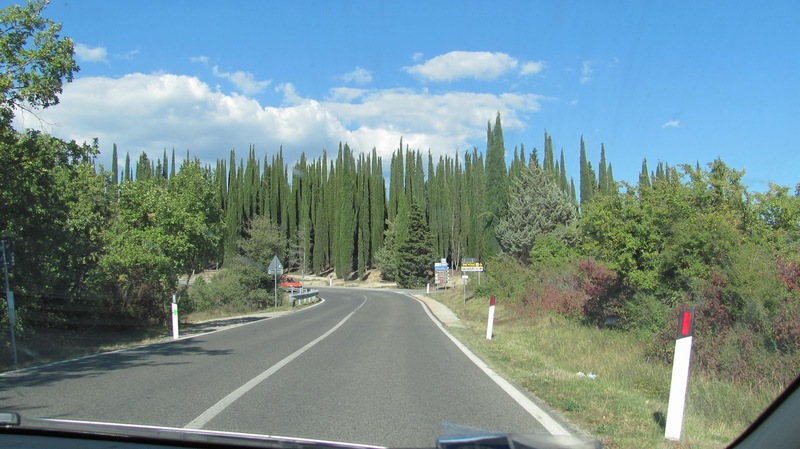 Driving through rows of tall cypress trees, we finally arrived at Poggio Antico. The view from the vineyard was just stunning. On a clear day, our guide told us that you can see the Mediterranean. 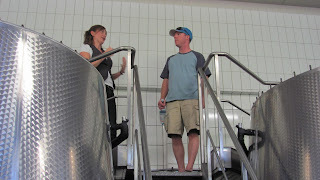 The tour guide was informative and interesting, and after about an hour, our group went inside for a tasting. We bought a bottle of wine called “Madre” which we plan to drink on our first anniversary. 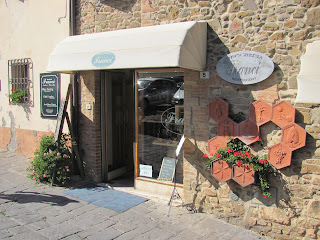 We then drove into Montalcino and parked in a small lot near the town’s Spalti Fortezza , or fortress. We saw folks dining on a patio overlooking the fortress and found a free table at a wine bar called Drogheria Franci La Gaida. 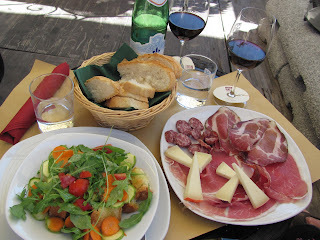 We shared a basket of freshly baked bread, a cheese and meat plate, a most fresh and colorful salad and a honey tasting plate with crispy croutons for dipping, and of course, two very delicious glasses of Brunello wine. 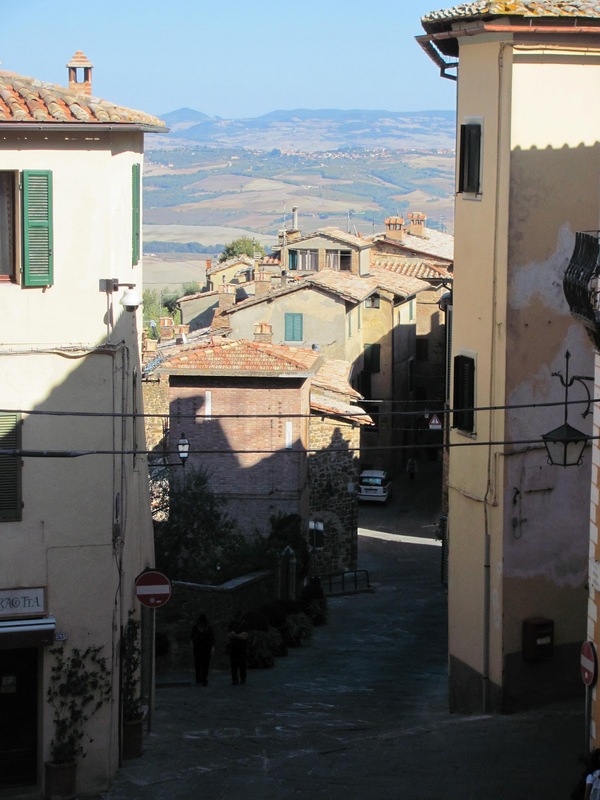 We walked off lunch by touring Montalcino’s narrow streets, checking out the Duomo and wandering around the tiny gift shops selling Brunello wine. Arriving back at the hotel, we were unable to get into our room – the lock appeared broken. After further inspection by the bartender/handyman, a carpenter was called in to saw through the lock! The bartender gave us a complimentary drink (or two) but after a couple hours without a room and access to our belongings, we wanted to get into ANY room, to nap and freshen up before Jason’s birthday dinner reservation at 8pm. 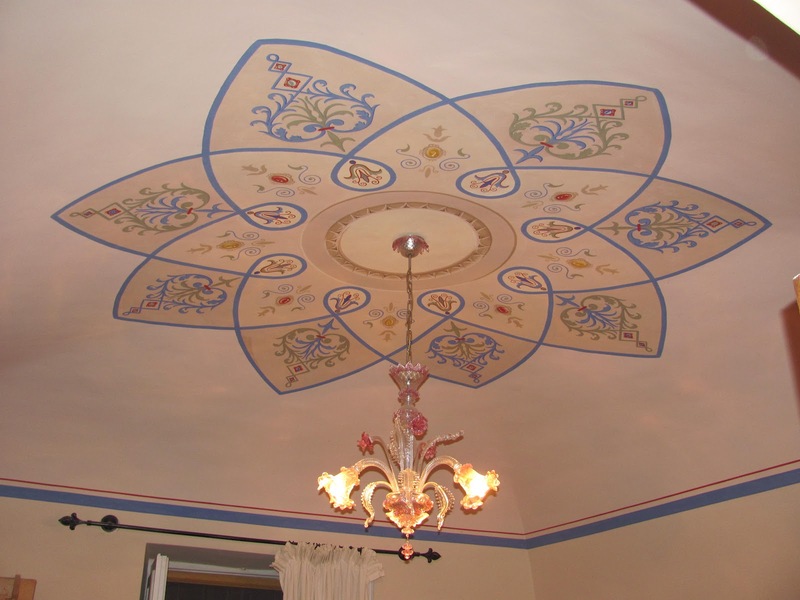 Turns out, the hotel was full but management put us in one of their beautiful suites, which boasted a very, very large Jacuzzi tub, antique furniture, painted ceilings and pillars in the room. Lucky us! Dinner at La Taverna de San Guiseppe, an uphill walk from the piazza, was one of the highlights of our trip. After a complimentary sampling of the restaurant’s soup, we split some gnocchi before our entrees which included the mixed grill of steak, chicken and ribs and the mouth-watering osso bucco. 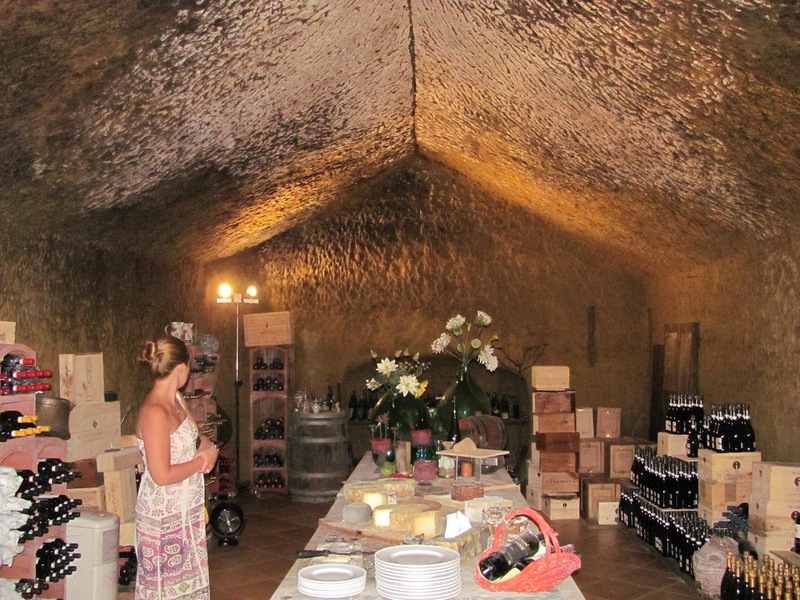 We had a very special table in the back of the cave-like restaurant (make a reservation) and received a tour of the old Etruscan wine and cheese cellar after dinner from our very accommodating server. I told the server that it was my husband’s birthday and about 10 minutes later, all lights dimmed, disco music began and the restaurant staff and patrons erupted in song and clapping, singing to Jason, carrying champagne for both of us as well as a generous portion of tiramisu. 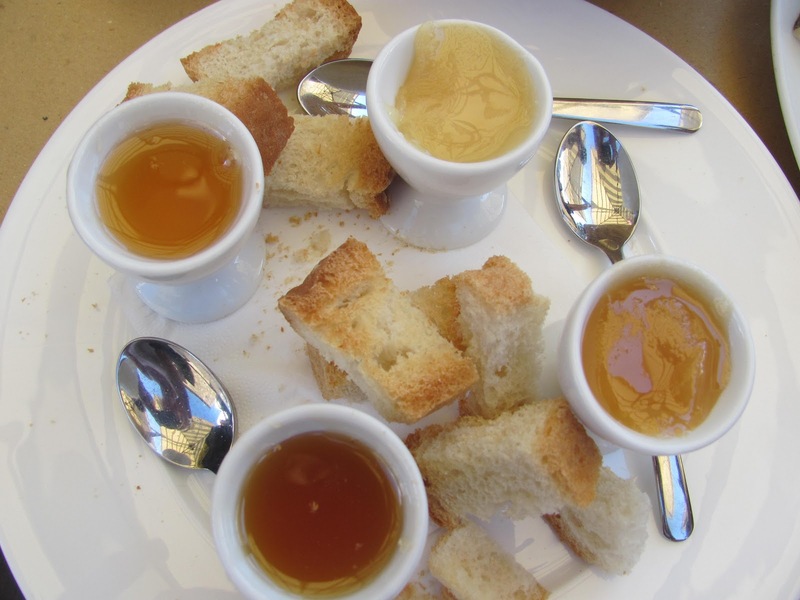 We loved La Taverna de San Guiseppe – what a special night. 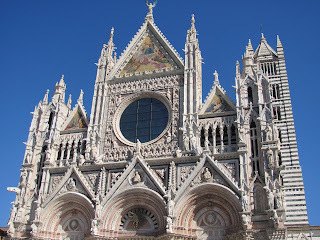 Our last full day in Siena before moving onto Rome. After breakfast at our hotel, we walked across town to the bus terminal to buy our bus tickets for the following day. We spent a good few hours wandering around Siena's narrow streets. Near the bus station, we walked around the outdoor market, tasting honey and checking out the beautiful produce and other odds and ends, and eventually made our way back to Siena’s Cathedral, which was absolutely stunning inside and out. Around 1pm, we hopped back in our car and headed toward the Chianti Classico region, which lies between Florence and Siena. The ride was amazing and we had a delicious lunch at Osteria Quercegrossa, a small restaurant in the little village of Quercegrossa. 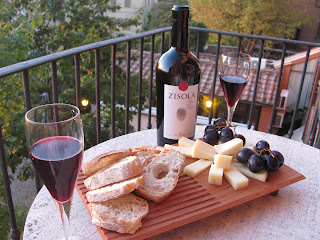 We shared an antipasto Toscano followed by homemade orchiette with fresh tomato and basil and a small carafe of wine. 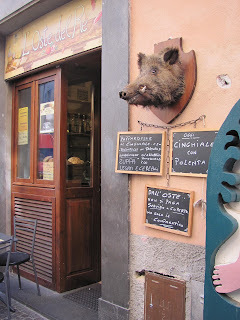 This little “hole in the wall” restaurant was one of the most tasty, simple meals we ate while in Italy. After lunch, we drove along the road, taking in the breathtaking scenery and stopping for photos along the way. 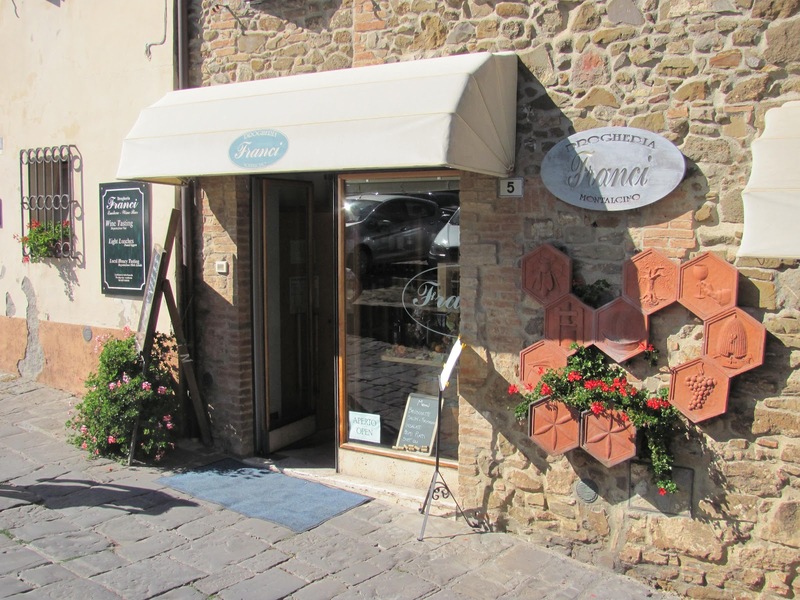 Because we had to return our car at Hertz, we headed back to Siena, stopping briefly for some wine tasting at Enoteca di Fonterutoli, where tasting four wines costs 5E. We bought a beautiful bottle of wine which we later drank on our balcony. 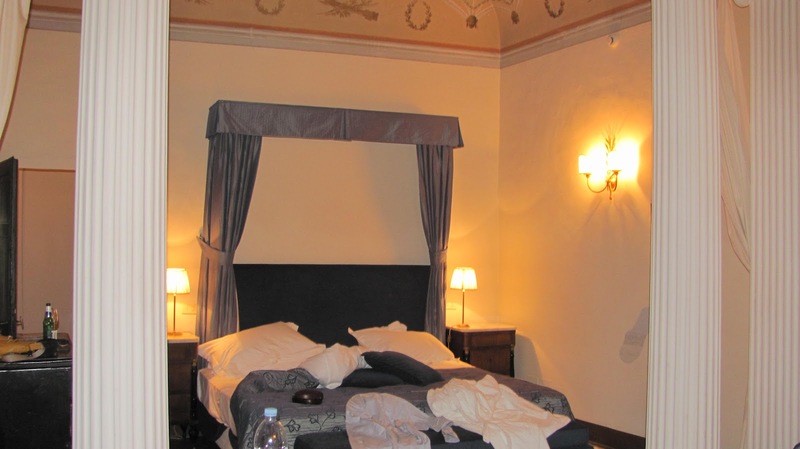 After returning the car, we took a cab to the Palazzo Ravizza, where unfortunately and fortunately, we had to once again change hotel rooms due to our original room being unusable and every room the in the hotel being booked. 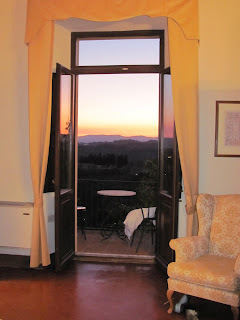 This time we were pleasantly surprised with a suite with a beautiful terrace overlooking the garden. A fair trade for a little inconvenience! 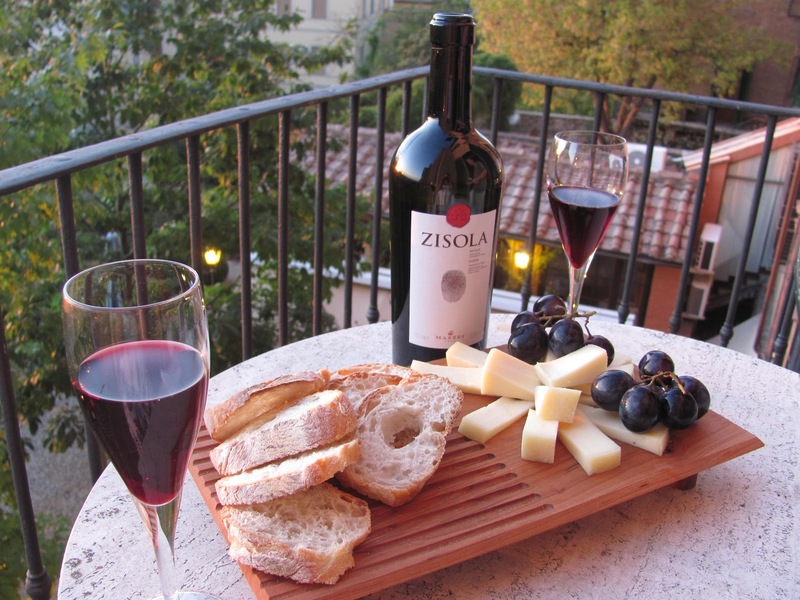 We called the bartender, who delivered an amazing plate of cheese, grapes and fresh bread, and we sipped our wine and watched the sun set. The sounds of a piano and opera floated into our room and we figured someone was using the record player in the beautiful common area adjacent to our suite. Upon further investigation, we discovered a male vocalist and a pianist rehearsing together on the hotel’s grand piano; the acoustics in the room were fantastic. I was moved to tears – it was beautiful. I wished my Italian grandmother was there to witness this; the man’s voice was haunting. A small crowd of hotel guests gathered in the room and we all enjoyed the show. To hear a bit of this beautiful music, click here. For dinner, as recommended by one of the front desk clerks at our hotel, we ate at a forgettable pizzeria called Ristorante Due Porte, a three-minute walk from our hotel. We split a very generic salad that had canned olives on it (in Italy?!). We also split a pizza which was so/so. The restaurant had a large patio which must have had a nice view of the hills during the day. Off to bed, next day Rome! After our last breakfast at the Palazzo Ravizza, we called a cab which brought us to the bus station. 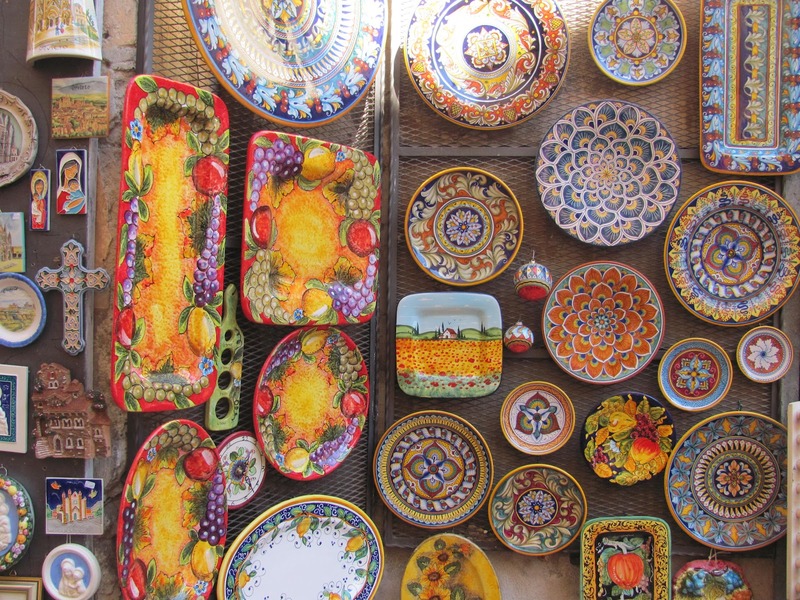 All in all, a fabulous taste of Tuscany. 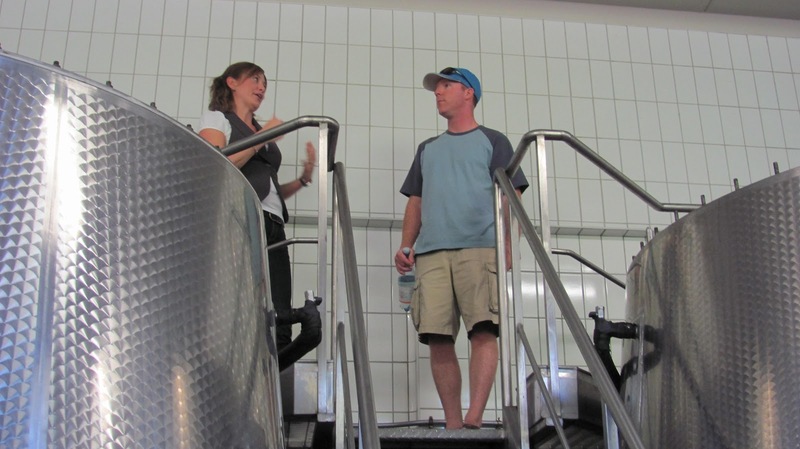 I only wish we could have spent more time driving around exploring and wine tasting. All the more reason to come back another time! Thanks for reading. Where to Next? Roma! 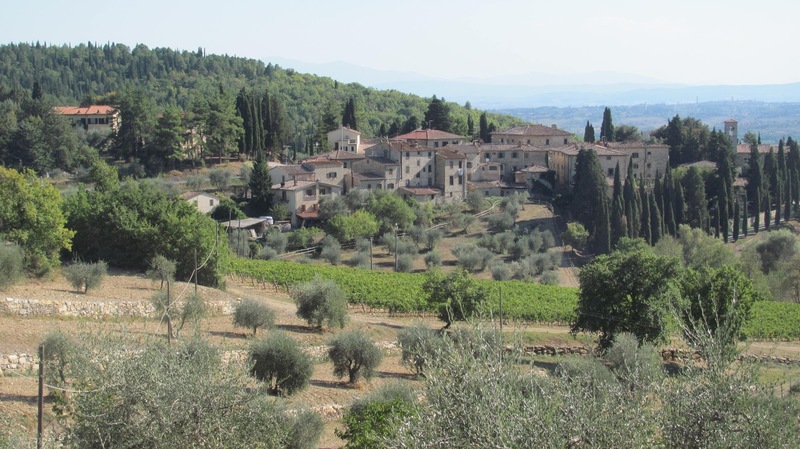 To learn more about Tuscany, please click here. If you enjoyed my blog, please like my Where to Next fan page on Facebook by clicking here. 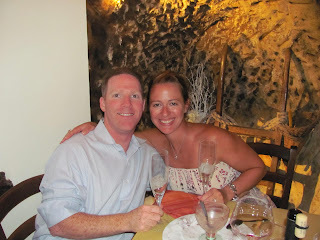 If you’d like to read about the first five nights of my honeymoon in Positano, click here. Love your trip. Please post soon on Rome. 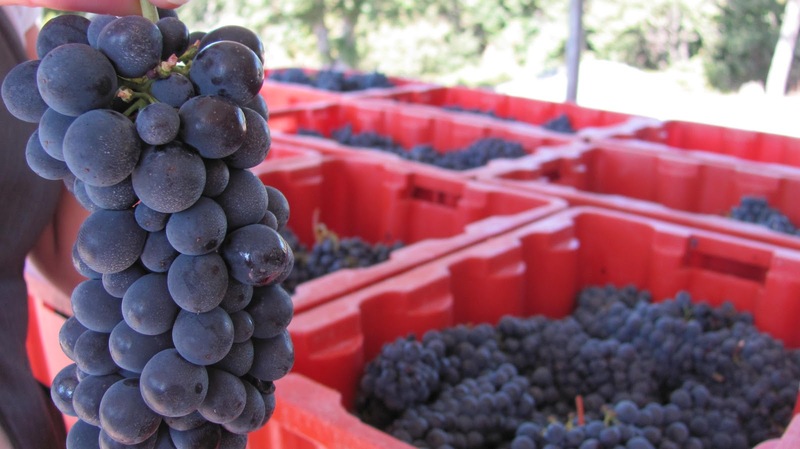 We are going in October and have added Postitano to our trip based on your account. Thanks topeater. Hope to have a Rome report ready next week. Wow. Talk about "rooms w/view". Nice photos. 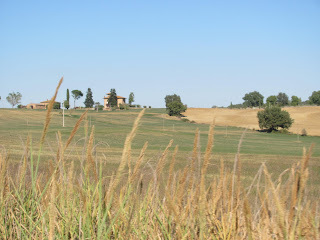 The beauty of Tuscan countryside blew me away too. Prettier than CA wine country. ...not to mention the charming hill towns, the food, and the "house" wine everywhere. bed and breakfasts in TuscanyTuscany farmhouses; Selection of the best accommodations in Tuscany such as farmhouses (farm holidays), holiday apartments, villas, hotels and bed and breakfasts in Tuscany area. Very nice blog and beautiful pictures. 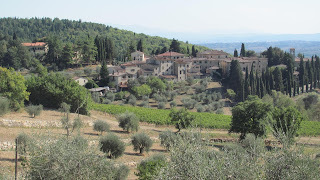 Tuscany is really so beautiful and romantic place perfect for honeymoon. Thanks for sharing your Tuscany honeymoon experience.